Whilst birding the Asir mountains of the Tanoumah area in southwest Saudi Arabia, I came across a plant I could not identify. As a result, I asked Irene Linning who is a plant expert and who previously lived in Saudi Arabia if she could identify it for me. 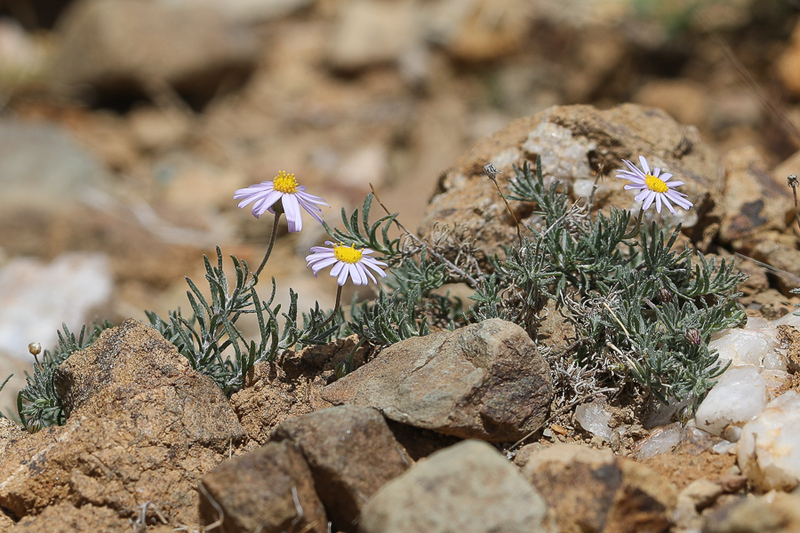 Irene said it was Felicia abyssinica a plant that grows at high altitude with flowers about 10 centimeters high and 1.5 centimeters wide. Felicia is a genus of flowering plants in the family Asteraceae native to open, sunny habitats in southern Africa, parts of tropical Africa and the Arabian Peninsula.